Long Family Dental is happy to offer comprehensive dental services for patients in Cleburne and Midlothian who are suffering from a TMJ disorder. TMJ stands for temporomandibular joint, which connects the lower jaw to the skull. Problems with this joint can be caused by a misalignment of the teeth, outer trauma, or excess muscle tension. If something goes wrong, then you may experience several types of oral health problems. At Long Family Dental, we can treat your TMJ disorders with consideration and care, often using dental appliances to alleviate the condition and give you relief. Why Choose Long Family Dental for TMJ Therapy? Dental treatments for this condition can include replacing missing teeth, moving teeth, adjusting the bite, filling gaps between teeth, or using devices to stop such damaging activities as nighttime teeth grinding. At Long Family Dental, we know there is no one solution that is right for all cases. Sometimes, a custom-made mouthpiece is used to prevent clenching or grinding that is contributing to the problem. If untreated and taken to extremes, surgery may be required to repair a badly damaged joint. We always put your comfort and health first, which is why we take all solutions into consideration and offer you the best treatment options to correct your TMJ disorder. Long Family Dental can alleviate jaw joint pain with TMJ therapy. 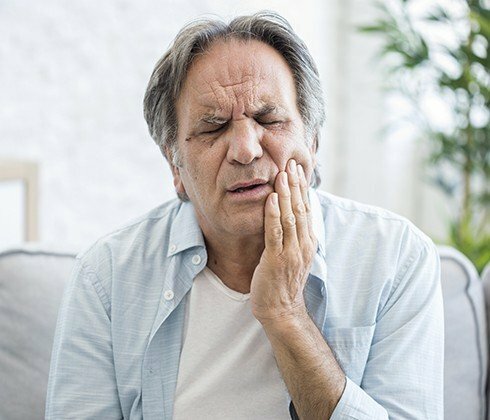 If you live in and around Cleburne and Midlothian and think you have a TMJ disorder that needs treatment, call us today to request an appointment.